Overclocking is increasing the clock speed of computer components above rated speed. CPU clock speed is the number of clock cycles( frequency) a CPU can perform in 1 second. The more clock cycles a CPU can perform, the more things it can get done simultaneously. It means that after overclocking your PC can handle multitasking, high-end Softwares and massive games in a much better way. Overclocking your CPU speed sounds good, but it is not easy to do. If you are a newbie or you don’t know much about processors and their functionality then you may harm your computer system. So here we have explained everything you need to know about overclocking your CPU in easy steps. But before going any further, let us see what are the benefits and problems that you might face on a overclocked PC. Should I overclock my CPU speed? This arises very often in gamers mind. Everybody want to get the best output from their CPU. But as you know most of the processors come with preset clock rate. But the impressive thing is that we can overclock it up to some extent to get best stable output. 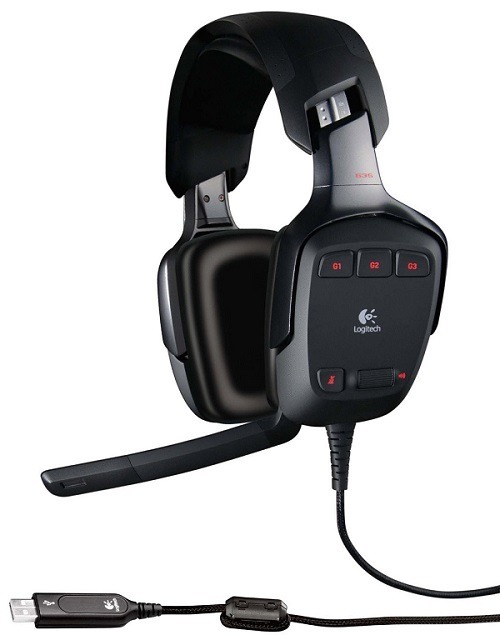 1) Graphics and Smoothness of heavy applications and graphics-intensive games will increase. 2) You CPU can handle a lot of applications easily. 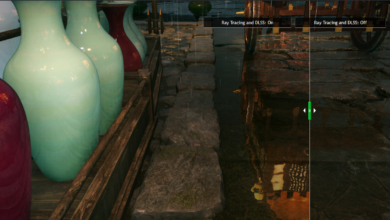 PC multitasking ability will be improved. 3) Response time will be fast; PC will respond faster than before. 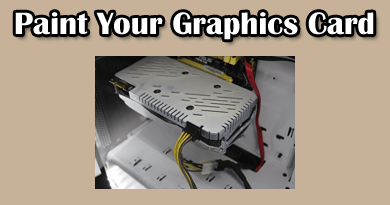 Your CPU performance will increase up to some extent usually 5 to 10%. But don’t expect too much. 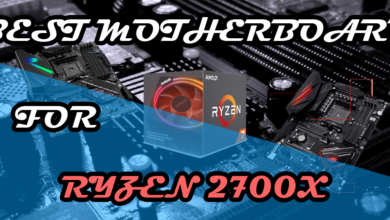 Beside processor, there are also other components such as RAM, Hard Disk and Graphics card which are also equally responsible for PC performance. If you use your computer system only for watching movies and browsing net and regular office work, then there is no need to mess with overclocking. You won’t notice much difference. Intel and AMD set processor clock rate by performing a lot of tests done on advanced machines and softwares. So frankly speaking, manual overclocking is just hit and trial method. If a newbie with no proper guidelines and knowledge try to overclock his PC, he may face below problems. 1) Clock rate above maximum limit may crash your PC before it boots. 2) You will need a good cooling system. Default cooling fan may not able to transfer the heat generated inside CPU. 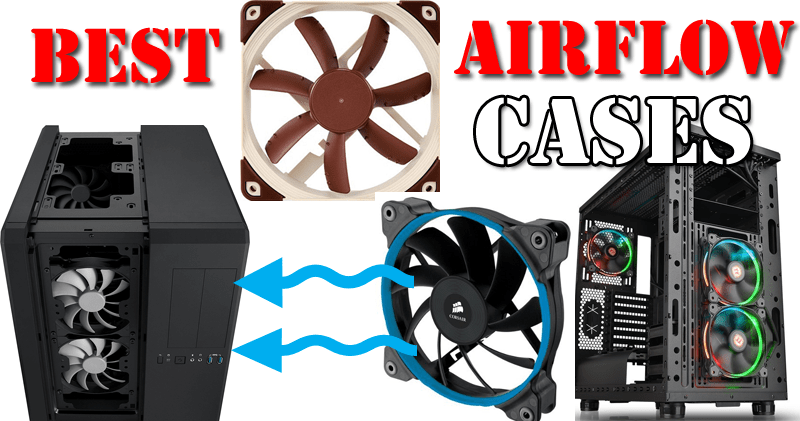 If you could spend a little more than buy water cooling fan. 3) Due to the temperature above average value lifespan of PC components reduces. 4) Overclocking the locked Processor may void manufacturer warranty. You can find whether your processor is locked or not under specifications. However, with the unlocked processor, there are no warranty related problems. 5) Power consumption will be slightly higher than the standard value. As you have to provide extra voltage to the processor. Now you have a basic idea about advantages and disadvantages of overclocking CPU. 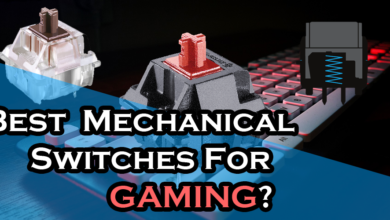 It’s your time to decide whether you want to overclock your PC or not. But remember do it at your risk. We can only guide you. Every processor has different stable clock rate. You have to analyse everything. We have mentioned in detail the analysis and setting the clock rate and input voltage to the processor. Read the whole article thoroughly and follow each and every step as stated. 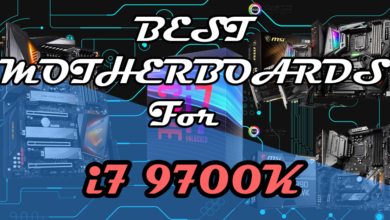 Every processor has different overclocking capabilities at which it can work properly, even if they are of the same generation and same rating. Why this difference arises? Let me explain you in a very simple way by taking an example. Intel makes processors in bulk amount. When processors are ready, they are sent for various tests. Now comes the main part, here stable clock frequency is found out along with corresponding voltage. Now if we take 10 processor from whole stock and check out their steady clock rate, we will see diverse results. One may have 2.5 GHz; one may have 2.7, 2.2, 2.6 and so on. But Intel only sells the processor with standard clock rate say 2GHz, 2.1 GHz, and 3GHz. Now Intel faces the problem of standardization. So they assign a clock rate of 2.1 GHz to all processors whose clock rate lie between 2.1 to 2.9GHz. If they found a processor clock rate 2.8 Ghz, they still assign it a clock rate of 2.1 GHz as they can’t sell it by saying 3Ghz processor. So it’s your luck, that can help you. If your processor was made by Intel and its model number ends with the letters K or X, or you’re using an AMD processor in that company’s FX series, it’s unlocked. Overclocking above processor range is comparatively easy and your warranty will be intact. Let’s start the overclocking. 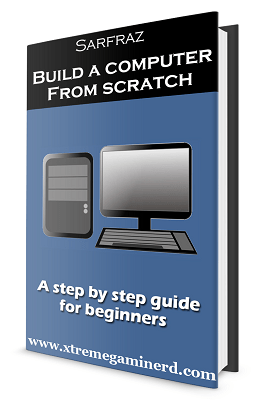 Before starting the whole process, download below given softwares first. We recommend using the CPU-Z utility during the overclocking process. 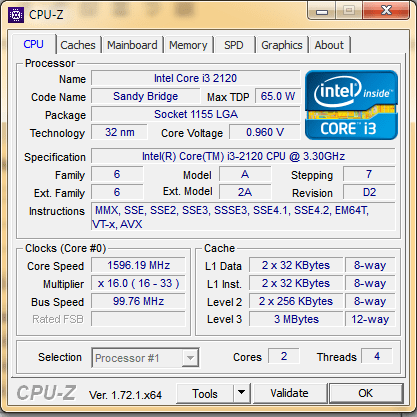 CPU-Z identifies your processor, motherboard, graphics card, and relevant settings and clock speeds. It will also help you in monitoring CPU clock speed and voltage in Windows. It is an easy-to-use monitor to help ensure everything is working correctly. 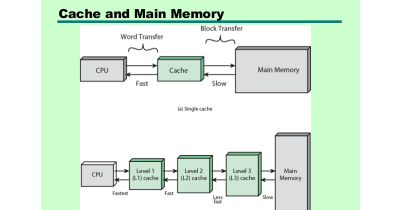 Prime95 and LinX both programs are widely used for stress testing. We will see how to use them as we move further but for now download and install anyone of them. However, we are using LinX for stress test. This program will help you monitor your CPU temperature as you run your stress test, so you know if your CPU is getting too hot. Before starting overclocking, run a baseline stress test. This will give you a baseline to compare against as you start overclocking, and will also show if there are any problems with the base in the settings that need to be changed before overclocking makes them worse. Firstly check CPU temperature level during stress test. If CPU temperature is found above 70 °C, then you will have to install good heat sink or apply new thermal paste on the processor. Restart PC and Open BIOS settings. Every PC have different BIOS settings. Menu labels and locations may vary from system to system. Dig in the settings and find the settings that you need. Open “Frequency/Voltage Control” settings, then “Advanced Frequency settings“. Menu labels may be different but they will be labeled with a relevant name. This is the menu where all out dirty work will be going to happen. Here we will set clock rate and voltage accordingly. There are a lot of different settings we could play with. But changing all the settings may be a mess and might cause problems in stability of PC. I recommend starting at your base clock speed and gradually ramping up—it takes a little longer, but it’s much easier to do and ensures you get the best stable overclock by the end of the process. 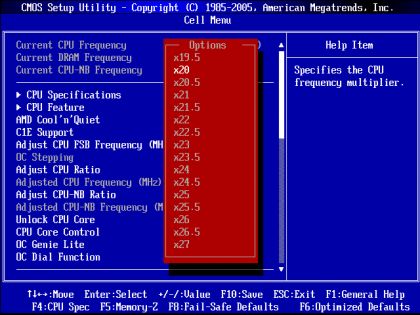 Find CPU Multiplier in Advanced Frequency settings. Initially, it will be set to “AUTO”. press ENTER and raise it one unit. In my case it was 3.4 GHz so, I raise it to 3.5GHz. You just have to increase the CPU Ratio to get the required Ghz value. So if it’s x27 it means the frequency will be 27Ghz. Once you’ve done that save all settings and reboot your computer back into Windows and head to the next step. 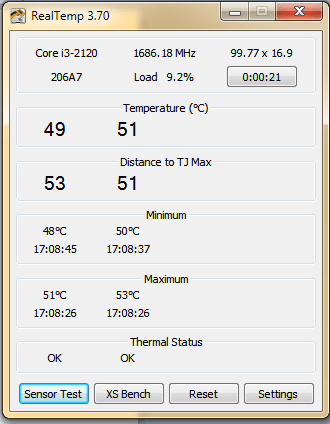 Now your processor is overclocked a little bit, It’s time to run a stress test to find stability and temperature. Start CPU-Z, Real Temp, and stress testing program may be LinX or PRIME95. Set LinX to run 20 times and click “Start.” Monitor your temperatures while it runs its stress tests—you should see them jump up and down. Your test will give one among three results. If the test finishes successfully, within safe temperatures, repeat step two and raise your multiplier another unit. If test reports an error or crashes to the Blue Screen Of Death (BSOD), then the voltage to the processor is not high enough. If your temperatures reach unsafe levels, then move to step six. I keep mine below 80 degrees celsius. You may also use water cooling fan to lower down the temperature, but you have to spend money for that. Now you have increased clock rate, It’s time to provide extra voltage to CPU so that it can work properly. If your stress test failed or Blue Screen Of Death on your computer screen, then don’t worry! It probably means your processor just isn’t getting enough voltage to keep a stable clock speed. So if that happens, just raise the voltage as we did. 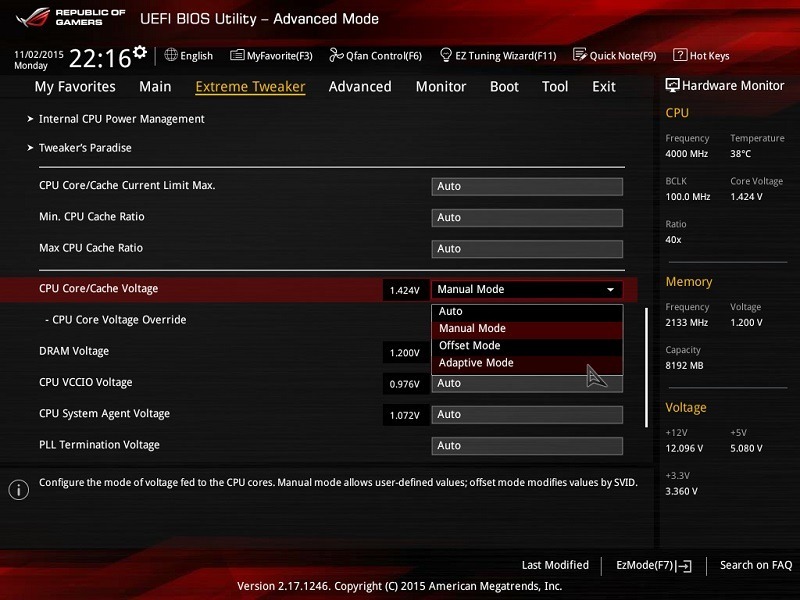 In BIOS settings find your “CPU Core” or “Vcore” value. It will be above or below Clock rate in the same menu. I usually raise in increments of 0.05 (e.g. from 1.2000, my CPU’s default value, to 1.2500). When you’ve finished, save your changes and reboot your computer. Then, repeat step three again. Remember, Don’t increase voltage in large increments as doing so will increase heat generation. So you have to keep an eye on CPU temperature. Repeat this process from Step 2 to Step 4 until you reach your maximum safe temperature or your maximum safe voltage. Once you get stable clock rate and safe temperature, save all the settings and restart your PC and log into Windows. Now, do the final stress testing to know if everything is working properly or not. Firstly perform a stress test on LinX then perform a few stress tests on PRIME95. Though LinX is very good software, but for full satisfaction, we are using PRIME95 as secondary stress tester. Run Prime95 for few hours to completely test your upgraded CPU performance. Keep an eye on temperature using RealTemp. If everything works fine during these tests then congratulations you have overclocked your CPU. Otherwise, lower down the clock rate and voltage a little bit. There’s a lot more in overclocking, but I have written this article keeping newbies in mind. If you have successfully clocked your PC then you may move a step further and overclock your RAM. One more thing, enable power saving features when you are using your PC for normal purpose to save power and lower down stress on your PC. 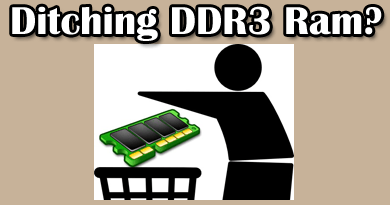 Is it time to “Ditch” ddr3 memories?